As gender differences in negotiation strategies narrow, Wharton Prof. Peter Cappelli advises women to rely on data to combat bias and persuasion to maintain strong business relationships. There are many stereotypes about how women negotiate compared to men. It’s common to hear that women negotiate less often and less aggressively than men. To shed light on this issue, we talked to Wharton Prof. Peter Cappelli, a world-renowned expert in human resources and labor and director of Wharton’s Center for Human Resources. 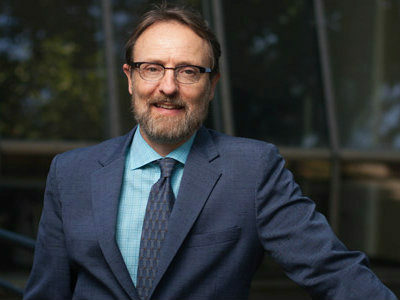 Prof. Cappelli frequently addresses gender-based differences and issues in the workplace as cohost of the Wharton Business Radio show “In the Workplace” on SiriusXM Channel 111. He also is a popular professor in Wharton’s MBA Program for Executives, teaching Negotiations at our Philadelphia and San Francisco campuses. Do women have different approaches to negotiations than men? We hear that women negotiate differently than men, or more likely that they just don’t negotiate as often or as hard as men, but of course there is a lot of variation in what individuals do that has to do with characteristics other than gender. What MBA-trained women executives do is not likely to be the same as what average women do, for example. I think the differences in negotiation behavior across national cultures are bigger than the gender differences within cultures. There are also differences based on the occupations one is in, the industry where they have grown up, and so forth. In my own experience teaching this for 30 years, I’ve seen the differences in negotiations between men and women narrow quite a bit. Women are still more likely to say that they are not good negotiators, but frankly I don’t see that in the outcomes. What does the research show about gender differences in negotiation outcomes? The stereotype is that men push harder than women, but again, what that difference holds for women and men MBA’s isn’t obvious. Many of the earlier studies showed that men negotiated more often and got better deals than did women. But more recent studies that allowed for the possibility that negotiating hard could burn the relationship found that men were more likely to blow up deals than were women. So, the previous studies were incomplete because they didn’t measure the relationship after the negotiations happened. In general, I’d say the same strategies work for men and women. What advice do you have for women who may be negotiating for financial sponsorship or time off to attend Wharton’s EMBA program? It is always possible that you’ll be negotiating with someone who has strong gender-based biases. Figuring that out beforehand helps in planning how to negotiate. For example, there are still managers who think that women are more likely to leave employers than are men, either to take care of their families or to trail husbands who move, despite evidence to the contrary. If you think that’s the case, it is important to address it up front, in part with evidence. Why might it be more difficult for women to ask for sponsorship? How can they overcome those challenges? There is still a stereotype that women don’t feel as entitled to ask as men do, but again, I don’t know if that is still true with newer generations or whether it is true for MBAs. It does seem that women are under greater pressure to avoid engaging in direct conflict than are men, although I think we are getting less tolerant of very aggressive behavior of men as well. The approach for securing sponsorships, which is true for women as well as men, is to remember that the relationship matters a lot – you’re going to have to deal with the boss after this. And you don’t have a lot of power in this context. Persuading and influencing the boss and managing up by showing the boss why it might be in their business interest to sponsor you, always works better than demanding or trying to push the boss to get your way. It might be that this is still more important for women than men, that they have more to lose from a confrontational approach because many people see confrontation as less appropriate for women than for men. Why is it important to have diversity of gender in MBA classes? In these classes, and especially in classes like Negotiations that involve interaction, it is important to deal with the kind of people that you will see at work. They differ a lot from each other, so having a student body that is diverse is the best way to prepare for the diversity in the workforce. How do better negotiation skills help women to excel in business and the workplace? In modern business, authority is more ambiguous, as we see in structures like matrix management or team-based projects. Conflicts are common there, and they have to be solved by negotiations. So, negotiation skills help everyone succeed in management. Read an article by Prof. Cappelli about an episode of his Sirius XM radio show, where he talked with Wharton Prof. Corrine Low about whether women can negotiate their way to the top.